Visitors come to Idaho from all over the country to experience some of the best steelhead trout fishing in the United States. Cast a line as you take in the gorgeous surrounding mountain views and let the surrounding water calm you. Suited for anglers of all ages, your Salmon River steelhead fishing trip awaits! Are you planning a Salmon River steelhead fishing trip? Take advantage of our complimentary Adventure Guide! We know that planning a vacation can be challenging, so we created our free guide to save you hours of research. Make your stay at Triangle C Cabins one you’ll remember for a lifetime! Steelhead are large rainbow trout that are native to the Pacific Northwest, particularly Idaho. Every year, these adult trout leave the ocean and swim back to our state. During this time, the Salmon River becomes stocked with fish to create an incredible fishing opportunity! Because the Salmon River is over 400 miles long, the fish swim through different areas at various times. Choose when to make your Salmon River fishing trip based on the time and location of the steelhead’s journey. If you are staying at Triangle C Cabins, the open times to fish our portion of the river are January 1 to April 30, August 1-31 for catch and release fishing only, and September 1 through December 31. Each times have different limits to the amount of fish you are allowed to catch so make sure to check the rules before you go! If you’re planning on going Salmon River steelhead fishing, make sure you get your permit! The Idaho Department of Fish and Game requires that anyone over 14 years old must have a fishing license. You can also get a fishing license from McCoy’s Tackle Shop in Stanley or fill out the application online. 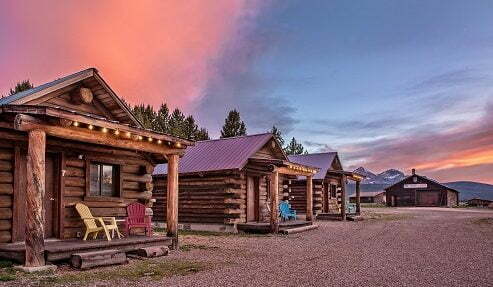 Let Triangle C Cabins be your home base during your Idaho adventures! Choose from our cozy cabins to start planning your stay. Located just moments away from outdoor excursions like Salmon River steelhead fishing, hiking trails, and more, we’re in the perfect spot for those seeking a trip into nature. 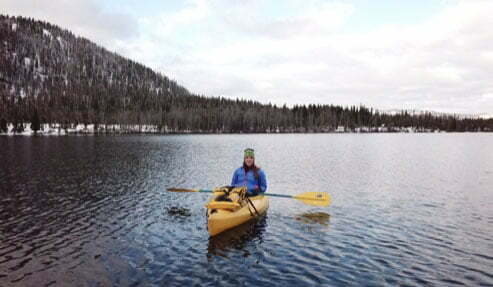 Plus, we are less than 15 minutes away from Redfish Lake Lodge where you can indulge in restaurants, lake activities, the General Store, and more! Book your getaway today.